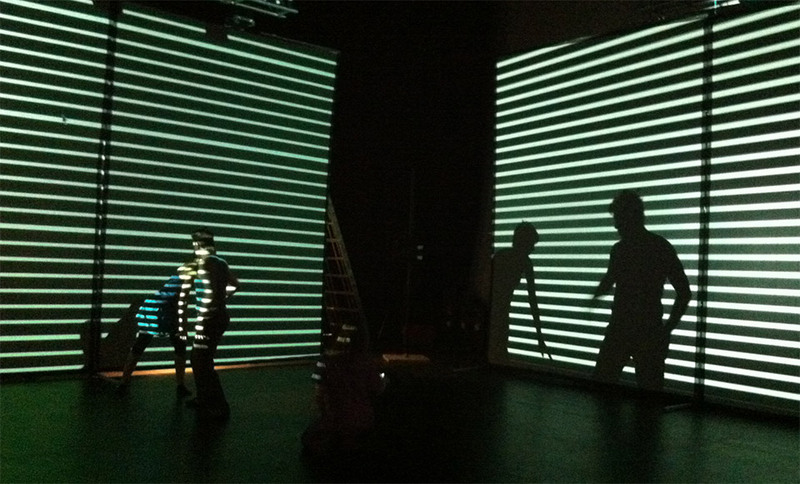 Striped Space is a spatial experiment that explores the relationship between computational media and the fusion of bodies and space. This fusion allows the bodies to disappear in their physical forms and only manifest themselves through interaction and motion. 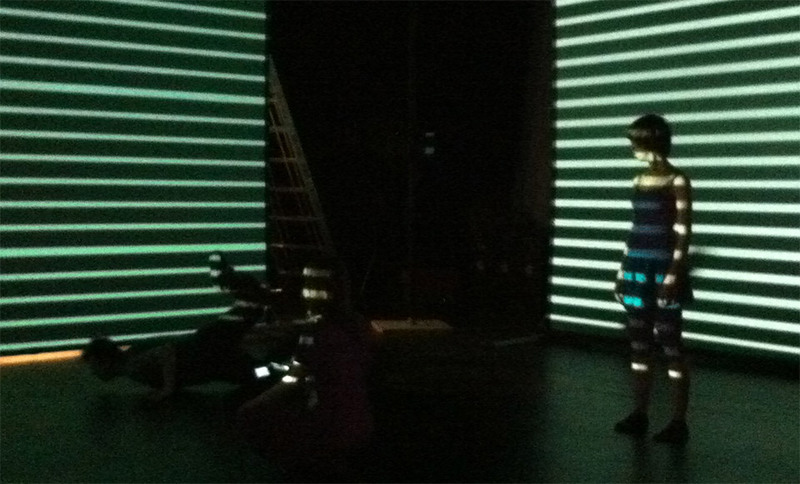 Body motion is captured and analyzed, and a sonic feedback is generated with each action. Also, a dynamic spotlight is hovering the floor of the space, trying to attach itself closer to the body that is the most active. 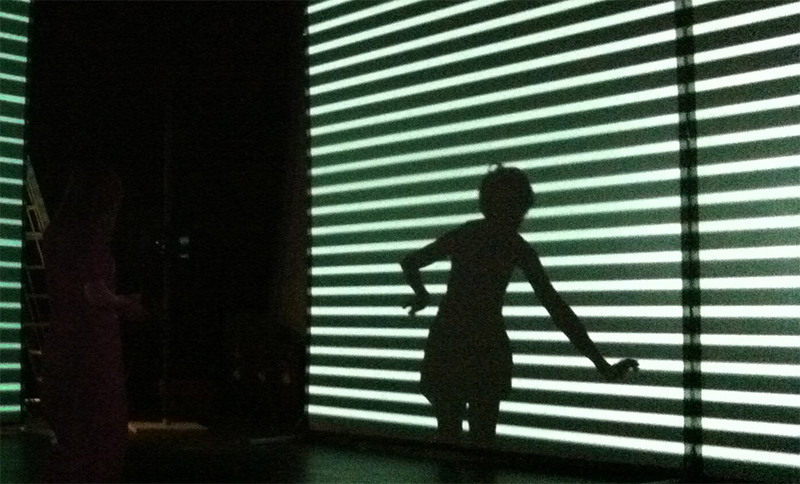 Performers play with the spotlight and try to steal it from each other, or competing over it by trying to move more to get the spotlight to follow them.